This past summer photographer William Brehm had the opportunity to work with John and Ann Lynch and their family to create a new family wall portrait for their den. 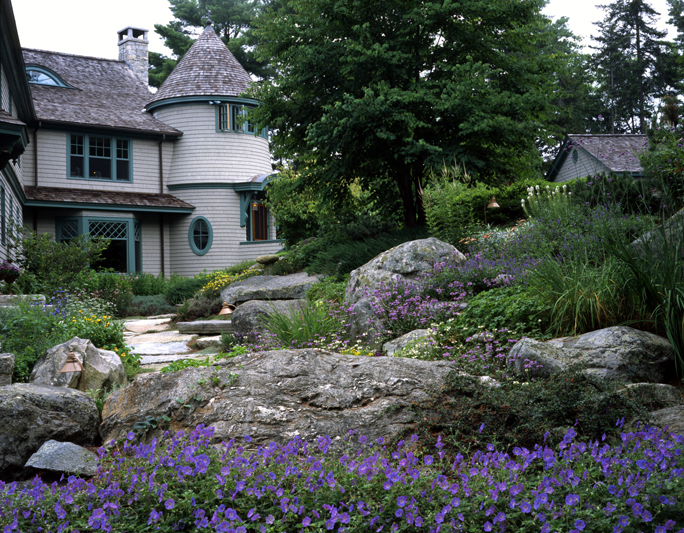 The shoot took place at the Lynch’s home on the Union River in Ellsworth. Above is the image the family selected for the place of honor in the den. 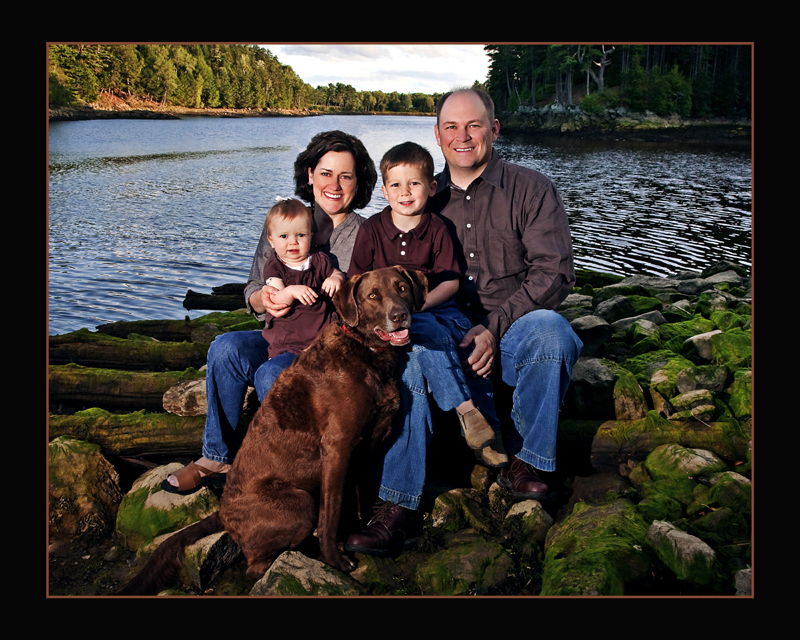 It was a fun session working with the children and the family’s Chesapeake Bay Retriver. 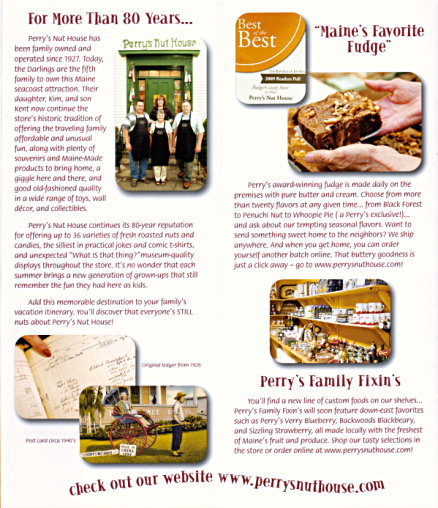 This past year we had the opportunity to work with the good folks at Perry’s Nut House to help them create a new souvenir brochure. Photographer William Brehm was called upon by Graphic designer Ross Cottrell of Cottrell Designs to photograph the entire location of Perry’s in Belfast. Everything from families having fun at the fudge counter to the collection of taxidermy was part of this photo shoot. Excerpts of the finished brochure appear below. 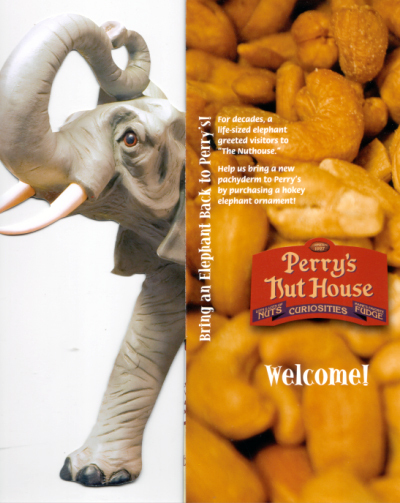 Vist Perry’s online www.perrysnuthouse.com/index.htm and when in Belfast make sure you stop and visit the Nut House but be warned, once you have tasted some of the delicious fudge and assorted other goodies you may become addicted. Creating the images used in this project was only the beginning of the creation process. 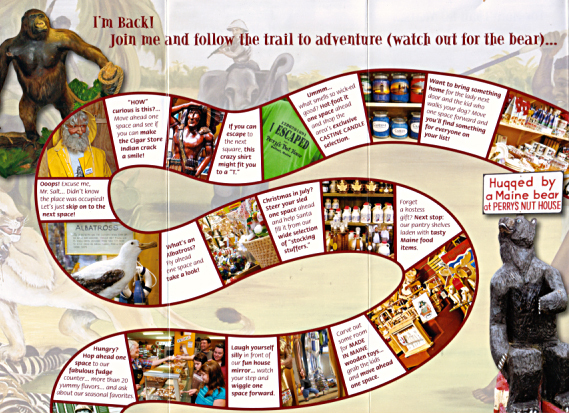 Ross Cotrell did a fabulous job putting this brochure together. He is one of the finest graphic designers we have ever worked with. If you would like to discuss your next print design project with him, he can be reached at 207-567-4228. 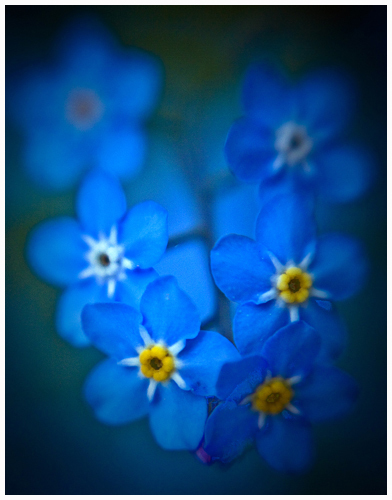 Photographer William Brehm of Riverside Studio entered two photos into the Lensbaby Photo Contest today. The first is a floral image taken this past spring at our photo park. The title is: Eyes of Spring. 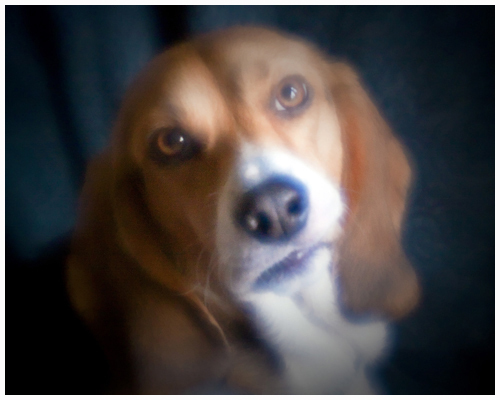 The second image is Titled: Beagle Eyes. It is an image of our sweet little beagle companion “Bijou”. Any photographer who uses a lensbaby lens is invited to participate. Click on this link http://www.lensbaby.com/getpublished/ to view contest details. Judging will take place during the first week of January. The winning images will be published in a new hardcover book by Lensbaby Guru Corey Hilz, featuring photographic images created using lensbaby lens exclusively..
On August 15th Kate & Ellard tied the knot on Isle au Haut Maine. It was a spectacular sunny day and the all island event was not to be missed. 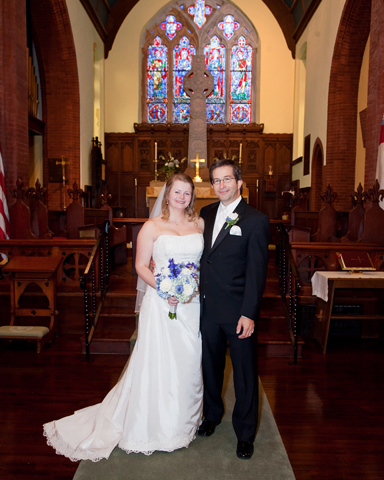 The ceremony took place at the Union Congregational Church and was conducted by Rev. Ted Hoskins. 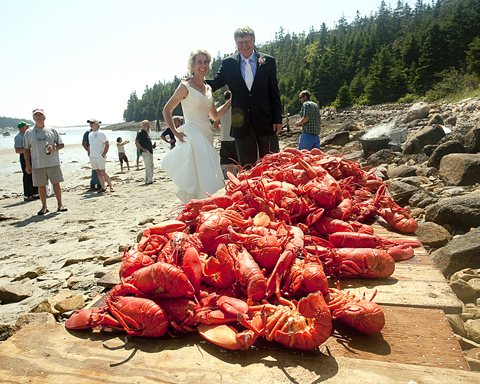 The ceremony was followed by a lobster bake on the Head Harbor beach at the home of Kate and Ellard. Lobsters were provided by several local fisherman and other foods were prepared by a number of Isle au Haut residents. 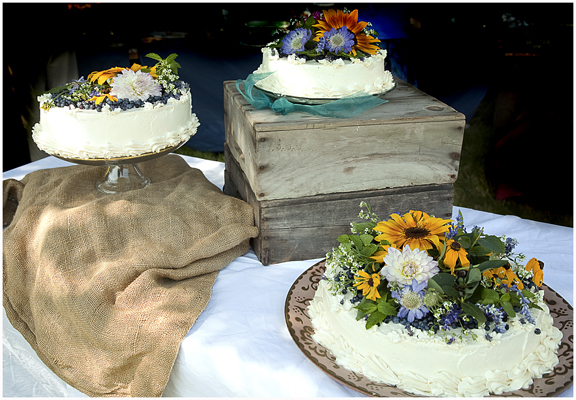 The cake was made by Kate Shaffer of the famous Black Dinah Chocolatiers located on Isle au Haut. We were truly blessed to be a part of this wonderful community event and have the opportunity to record the special moments of the day. Based on the good vibes in the air that day it looks like Kate & Ellard’s future happiness together is a SURE THING. 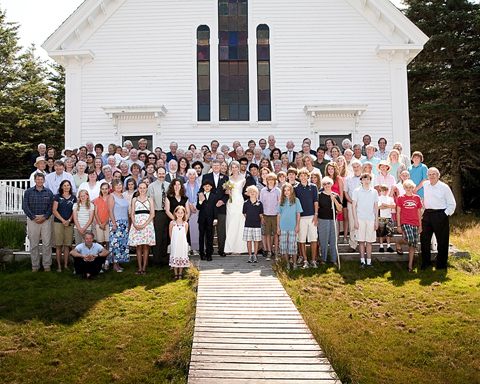 Kate & Ellard Isle au Haut Wedding was photographed by Maine Wedding Photographer William Brehm. 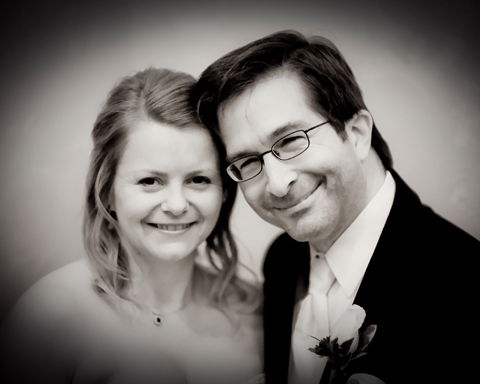 Dennis & Jennifer tied the knot on October 3rd in Northeast Harbor and Bar Harbor Maine. 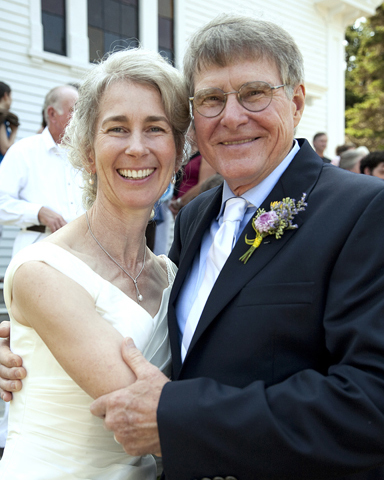 The newlyweds were married in a ceremony at St. Mary’s Episcopal Church in Northeast Harbor. The marriage ceremony was conducted by Rev. Patricia Robertson. 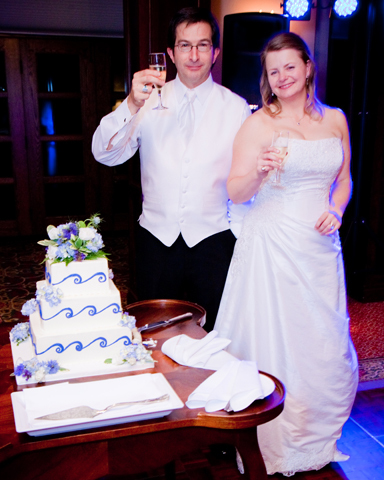 The ceremony was followed by a grand reception at the Walsh House Reception Hall at the Bar Harbor Regency. It was all smiles in the limo on the way to the big party. 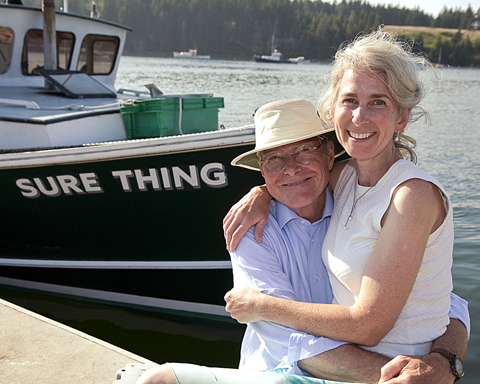 All the best to Jennifer & Dennis for many years to come. 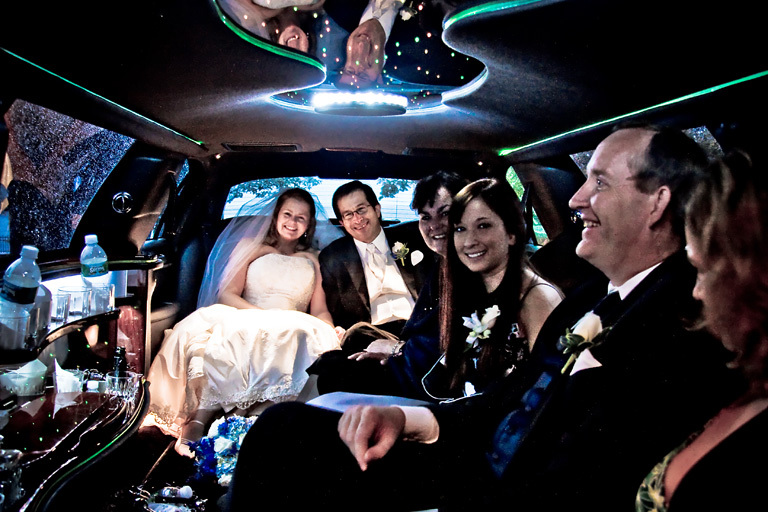 Dennis & Jennifer’s wedding was photographed by Award Winning Maine Wedding Photographer William Brehm. 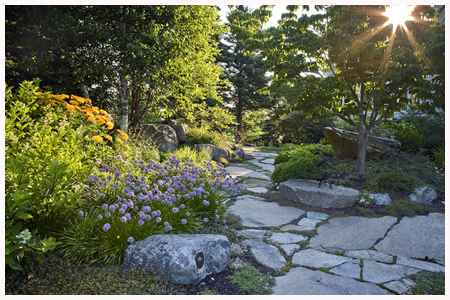 Over the years we have had the pleasure of photographing what are in our opinion the most beautiful gardens in Maine. 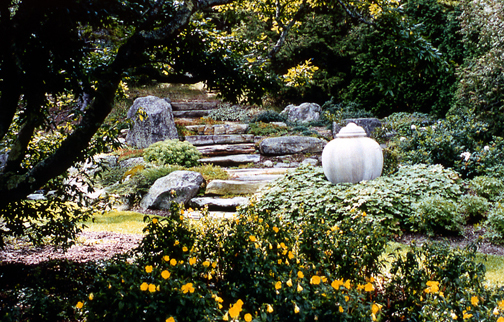 The genius and talent of Master Landscape Architect Bruce John Riddell are apparent when you look at these images of his wonderful zen inspired garden designs. 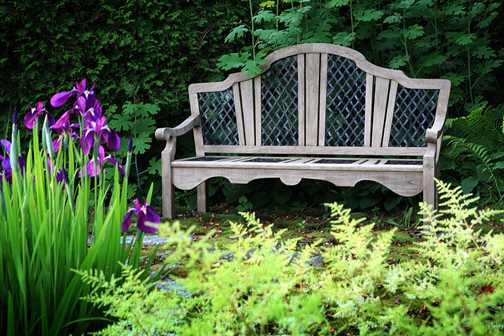 To see more of Bruce’s beautiful garden creations be sure to visit his website. www.landartdesigner.com Photography by William Brehm – Riverside Studio Photography. 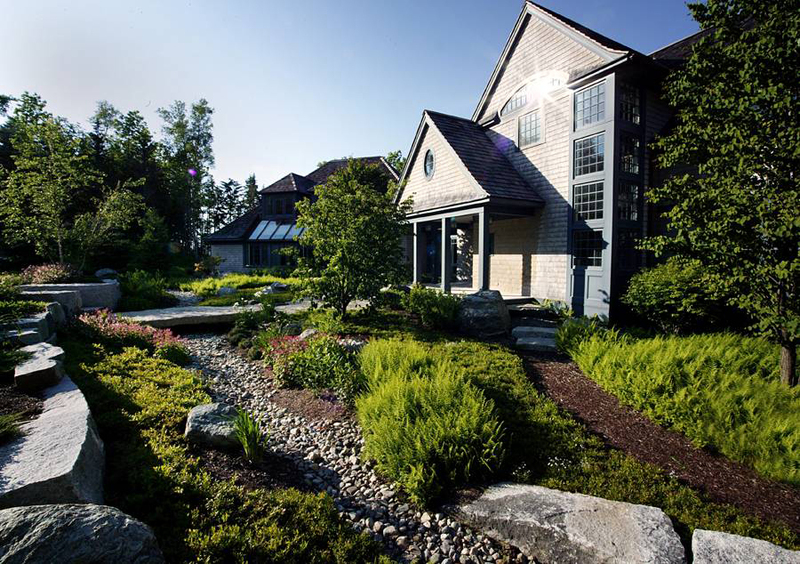 Garden Design by Bruce John Riddell. We will be featuring more of Bruce’s Garden’s in future posts. Stephanie is the latest Maine high school senior to have beautiful senior portraits created at our studio and photo park. Stephanie is a Senior at Sumner Memorial HS in Sullivan Maine. From the looks of things Steph could have a career as a fashion model. 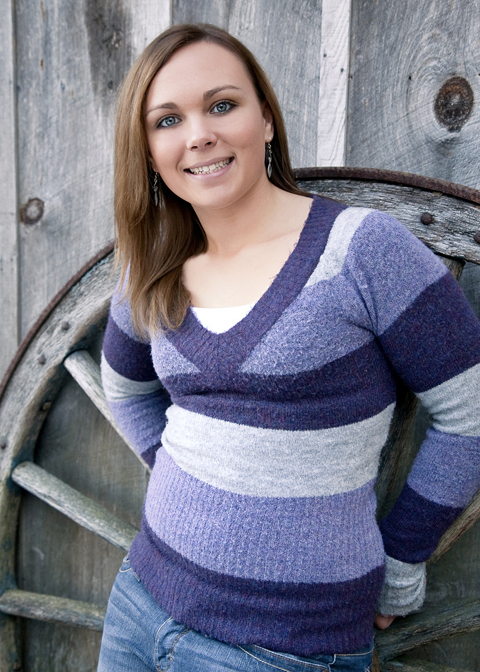 Way to go Stephanie and thank you for having your once in a lifetime Senior Portraits taken at Riverside Studio.